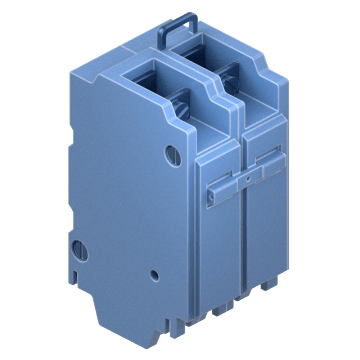 Used in low-voltage applications, these circuit breakers automatically open a circuit when overload and short circuit conditions are detected. 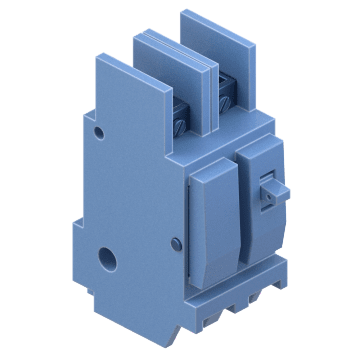 These breakers have a molded case, cable-in/cable-out (lug/lug) connections, and are often used in HVAC, HACR, machinery, water and wastewater treatment applications. 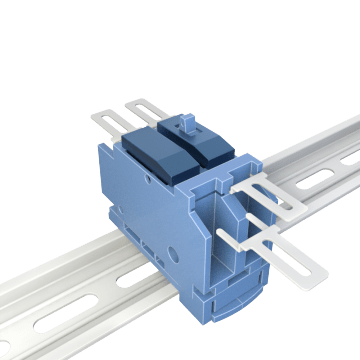 All circuit breakers must be used with a compatible panelboard or load center. These QOU-series breakers are resistant to damage caused by high humidity and have passed a 500-hour salt-spray test, making them a popular choice for use in HVAC and wastewater treatment applications. Use THQC-series unit-mount circuit breakers for AC systems in commercial, industrial, and manufacturing facilities.